I really enjoy going on long distance bike rides. By this point in my cycling “career”, I somewhat take the preparation and planning skills needed to pull these off for granted. I love planning things and thinking through logistics — ultracycling is one of my favorite things to do, but what if this isn’t your strong suit? 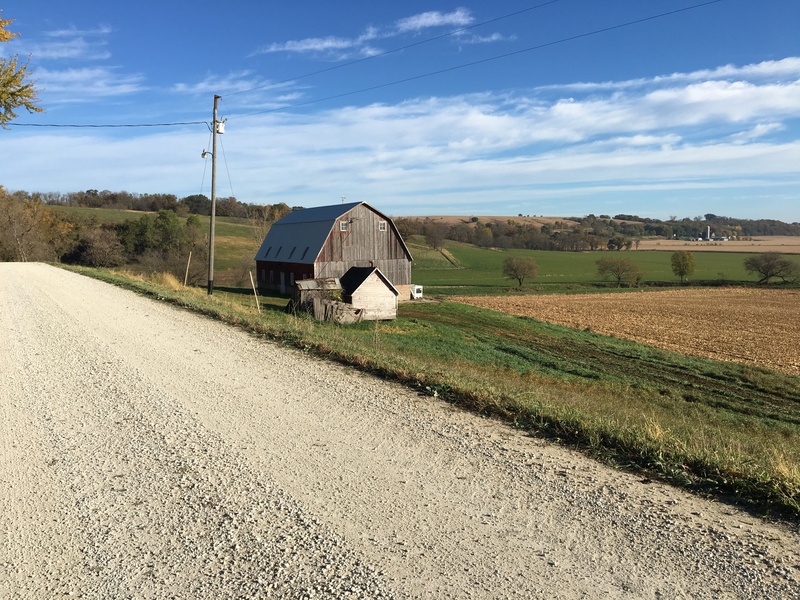 I’ll explain an overview of how I approach long ride planning based on what I did while planning my “Ride Across Iowa in a Day”. The planning process for this ride took me a week to hatch the idea, recruit people, and create a route that would take us north to south on pavement in <24 hours on our road bikes! I typically start the process by daydreaming up a crazy route idea or concept. Sometimes I try to string together a century ride and seek out as many hills as I can find in my relatively flat area of the country. Other times, I have a friend willing to pick me up in a different city as part of one of their trips, so I capitalize on that. I had a completely free weekend and a desire to spend a full day on my bike! It’s not required, but rides are better if you have a person in the area who can help in case of emergencies. I used a bail out option when I broke my bike during the Alexander, a 380 mile self supported gravel ride. I had hoped to ride the whole thing using only what I could carry and a credit card, but that’s not how it turned out! 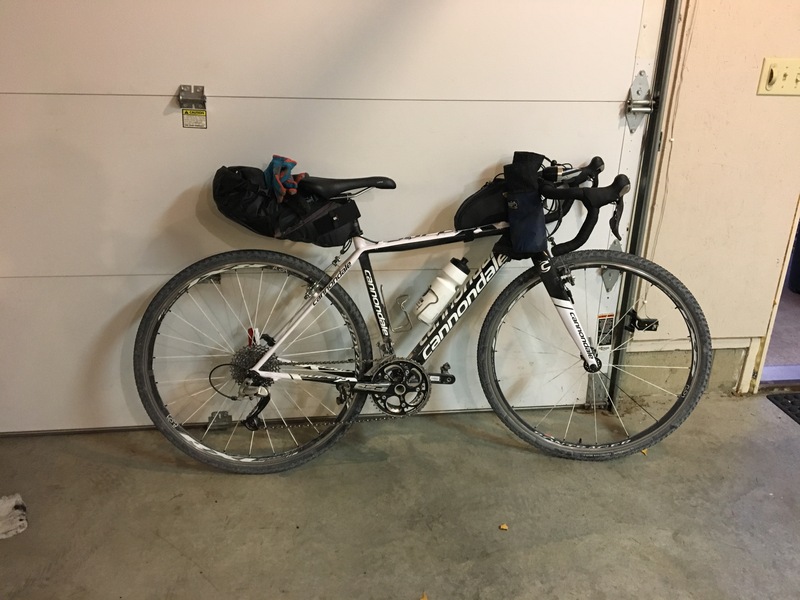 For my Ride Across Iowa, I had a person willing to pick me and a few other cyclists up somewhere within a few hours of a particular city in Iowa. Next, start asking other cyclists you know if they want to come along. By now you know your support options and a VERY rough idea of where you’ll ride. When I’m riding all day and others don’t want to be out that long, I’ve arranged for other cyclists to find me en route and surprise me. It’s a GREAT pick me up to see a familiar face when you’re exhausted, and the conversation tends to make you (almost) forget about your tired legs. For the Iowa ride, I had two friends joining me for the long haul, and three others who met us for different portions of the ride. The amount of time I can ride between stops really depends on the type of ride, style of bike, and number of bags on my bike that day. Notice I said TIME, not MILES. It’s very helpful to think in terms of minutes or hours between stops. I estimate a conservative pace and number of hours I can go, make sure my ride buddies can do the same, and then start brainstorming routes. Hopefully by now you’ve experimented with what foods your stomach can tolerate on rides by testing things on shorter training rides. What’s palatable? How much can you eat at a time? What foods give you trouble? What mixture of carbs, protein, and fat works for you? All natural or convenience foods? How will you get your electrolytes? Etc. Once you have the rough details hammered out it’s time to start mapping routes. I use ridewithgps.com to create maps I can share with others, turn by turn direction files for my Garmin 510, and cue sheets others can print out in case of a device malfunction. I mark “aid stations” by indicating gas stations, fast food restaurants, and other places to get water. I mark both the planned stops and the “emergency” stops. This time around I used detailed county maps showing what roads were pavement and average daily traffic on those roads. 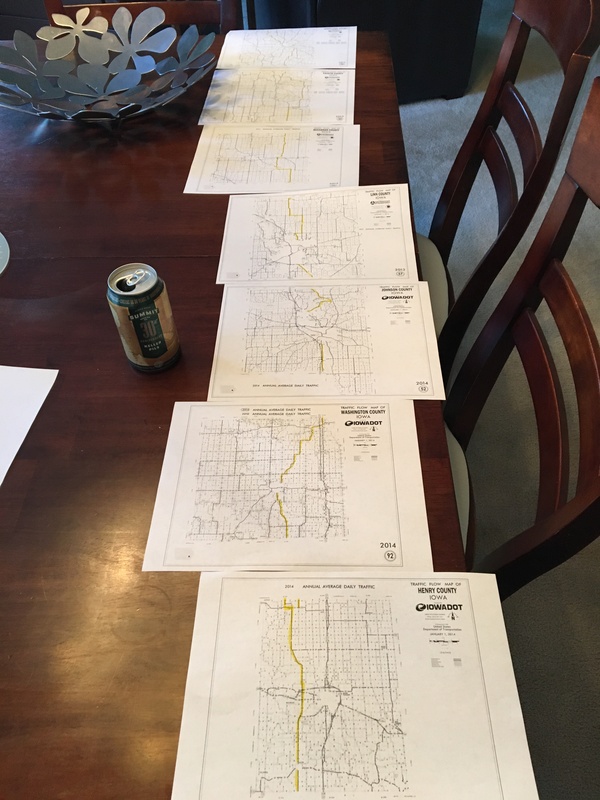 I scoured the maps individually on my computer screen at first, and then printed them out and used a highlighter to trace the route. Actual route planning. The beer helps with creativity. Make sure you can strap all your bags onto your bike! Here I’ve used a Revelate Pika, which is the “short person’s” version of the Revelate Viscacha on the back of the bike and a Topeak top tube bag in front. This is an issue with me since I ride such tiny frames. 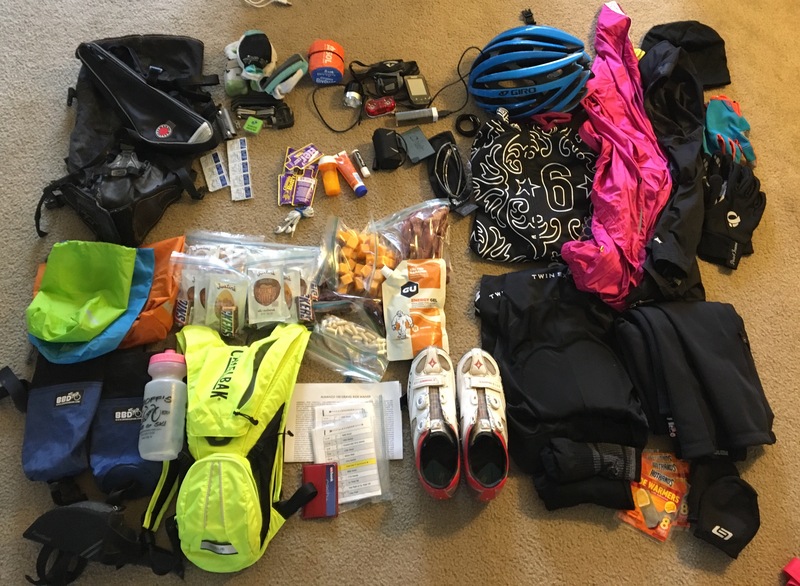 Test ride your bike while loaded up with bags, food, gear, supplies, etc. ahead of time if it will be in a new configuration for you. 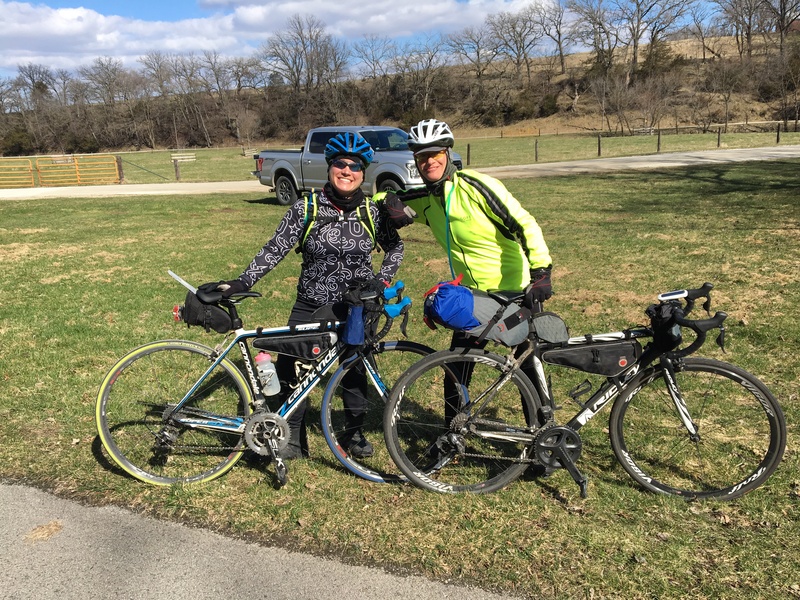 Ride Across Iowa in a Day – 260 miles, pavement, <24 hours!